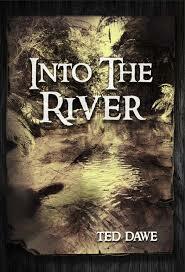 Auckland Libraries has welcomed The Film and Literature Classification Board of Review's decision to remove any age restrictions on Ted Dawe’s young adult novel Into the river. An Interim Restriction Order, making it illegal to sell or distribute the novel in New Zealand, was placed on the book in September, after a complaint from the organisation Family First New Zealand. Prior to this, the award winning novel had been rated R14, also in response to a complaint from Family First. General Manager, Libraries and Information Allison Dobbie submitted on behalf of Auckland Libraries to the Classification Board of Review in support of the book, on the basis that the work should be unrestricted. A supplementary submission, in response to comments made by Family First to Libraries' original submission, was also provided. You can read the first full Auckland Libraries submission here, and the supplementary response here. Auckland Libraries’ Manager, Regional Collections, Louise LaHatte said Libraries were pleased with the decision. At the time of publication, there were 110 holds on Into the river.